This is the music documentary of the making of Grammyr-nominated reggae album "Revelation" by dub reggae legend Lee "Scratch" Perry. Perry continues to create unique, category-defying music, drawing his narrative from his spirituality and today's global events. For the uninitiated, Lee "Scratch" Perry is one of the most important figures in the history of reggae music. Not only did he help develop the early reggae sound captured in a number of important recordings, but as an engineer, producer, songwriter, and performer he pioneered a number of innovations, including dub reggae. 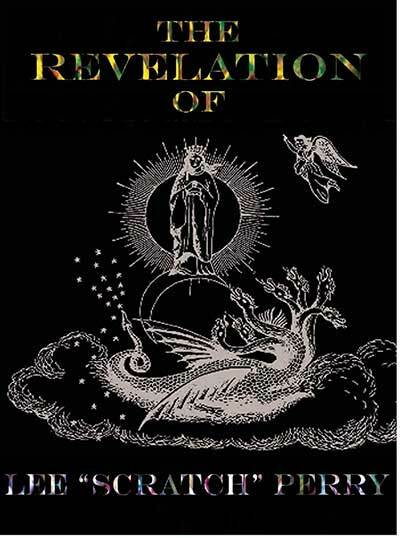 This documentary is set at Lee Perry's mountain top home and studio in Switzerland and features some of the actual sessions for the original studio recording of "Revelation". It focuses on Lee's work in collaboration with multi-instrumentalist Steve Marshall in both his engineering and his producer ("John Saxon") roles. While not appearing in this film, the musical contributions of very special guests Keith Richards and George Clinton, along with Duncan & Green, Tim Hill, Dr Sleepy, Alec Hay, elodieO & Abi Browning, and David Stewart Jones, are included. Visually, it is an interplay of color and light, ritual and the mystical aspects of Lee Perry's spiritual and worldly spontaneity, and a frank snapshot of his musical genius. The documentary also includes excerpts of a free-flowing and revealing interview of Lee Perry by Steve Marshall. The Revelation of Lee "Scratch" Perry is directed by Steve Marshall, photographed by John Palmer, and is a State of Emergency production. DVD extras include the complete interview of Lee "Scratch" Perry by Steve Marshall.